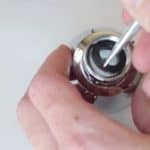 What Problems Can Toilet Plunging Fix? How to Properly Plunge a Toilet? How often do you plunge your toilet? Aren’t you feeling sick of it already? Plunging a toilet is for some people daily activity they have to do. While it can be considered as a good exercise, it’s not good at all for yourself and for your toilet. Do you even know how to properly plunge a toilet? While some people instantly call their plumber, other people take things in their own hands. But is plunging your toilet as helpful as we thought it is? Is there a proper way to plunge a toilet? Anyone can plunge a toilet anytime they want, but should they do it? It seems that there are more questions than the answers. 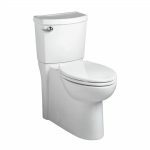 Therefore, in this post, we will teach you how to plunge a toilet properly, but also the reasons for toilet clogs. Plunging your toilet is a habit of most people out there. Maybe it’s not even your fault; however, you are stuck with plunging your toilet on daily basis. Even if you have tried every product for efficient toilet unclogging, it might have not worked out. Especially not as you thought it would. When you get your toilet clogged, plunging it might be just one of the solutions. It also might seem to be the quickest and easiest solution to do. Toilets can clog for many different reasons. Actually, sometimes, people are the cause of the clogging toilet themselves. It’s important to understand that the toilet isn’t a trash can. Therefore, you should be careful what you flush in your toilet. Sometimes, even wet tissues that we use can clog our toilet if they’re flushed down the drain. Plunging your toilet can’t do any harm to your toilet. Actually, it can help it clean as well. 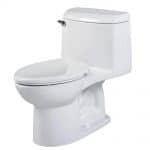 By plunging your toilet, you are using the pressure to help your toilet drain clean itself. The main problem that toilet plunging can fix is obviously the toilet clogging. In some minor toilet clogging problems, plunging your toilet will do wonders. Is your toilet getting clogged often? It’s time to ask yourself for how long will you be plunging your toilet on daily basis for. When you feel that even plunging your toilet isn’t helping anymore. Then the problem is a little bit more complicated. You should act on the toilet clogs right from the beginning. Sometimes, your toilet might even get clogged accidentally which is going to be one in a time thing. Plunging your toilet will definitely fix the problem, and it’s a solution you should definitely use. But for toilets that are getting clogged daily, something else is the problem. The waste reservoir can be full which is causing the toilet clog. Dispose of human waste doesn’t have anywhere to go. If you haven’t regularly had someone to check at your human waste reservoir. It’s most likely clogged down there. If your drain is directly connected to the public disposal system, the problem might be even on their side. When it comes to plunging your toilet, even amateurs with no experience can do it. They most of the time made from rubber. Keep in mind that you choose the size that will fit the size of your toilet bowl. Most people do plunging job in a bad way. It’s important to know when the toilet plunging will work. Also how to properly do it to get the most efficient results as fast as possible. It’s important to do it in a proper way. Most people don’t know what the proper way is or how to properly plunge a toilet at all. Don’t skip learning and using the right technique. Always make the first plunge a gentle one. The reason for that is because the bowl is full of air. If you force your first plunge hard, all the air from the bowl will come back. The plunging might get messy. Instead, force the air out first, and then plunge it rapidly inside and outside. Make sure to maintain the seal. Forcing the water both ways in your bowl does wonders. You will effectively loosen many clogs in your toilet bowl. It’s important to stay patient because not all clogs will be easy to plunge. My advice would be to switch between gentle and heavy strokes. It’s important that you keep the water level in the bowl at all times. Your plunger should stay covered with water at all times. You are most likely desperately trying to pressure air through the bowl trap. You just won’t be able to generate much pressure. The key ingredient to plunging your toilet properly is water. It’s made to go down the drain. By pressuring it down the drain with your plunge, you will be able to plunge many clogs from your toilet. It might seem simple, however, that’s the proper way to plunge your toilet. It doesn’t require a lot of attention. Although, it requires some patience. In case you don’t get it the first time, always keep trying again. 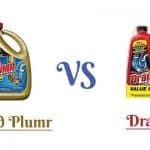 When plunging your toilet, it’s important to decide which type of product you will use. Choice is either commercial or homemade. Chemical products work very well. However, homemade cleaning products aren’t that bad either. It’s important to keep in mind that homemade product is cheaper. Choice is up to you. If you already have used chemicals and it didn’t work for you – I’d highly recommend you to run as much as water is possible in the toilet bowl to clean it out. Then use the plunger to do the messy job yourself. You can also try with homemade cleaning product in case commercial one didn’t’ work. Plunging your toilet might be a messy job, however, I’d always recommend you to use goggles and gloves. Also, wear clothes that you can get stained. Plunging your toilet properly isn’t hard. It requires understanding the order in which you will plunge your toilet. To prevent your toilet from clogging again, you should always keep the cover of your toilet down. Especially if you have children. By keeping your cover down, you will prevent objects such as toothbrush falling inside the bowl. Also, never pour ingredients and components that can harden in the toilet bowl. 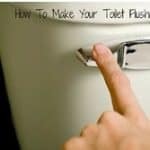 Did you use the proper way of plunging your toilet until now?